One of the most popular p2p communications protocol and platform in the world, BitTorrent has announced the integration of cryptocurrency payments, according to the official announcement. BitTorrent is a leading San Francisco-based p2p file sharing service, which was founded in 2004. It enables users to receive/send large-size files with the help of its sharing protocol in no time. In July 2018, BitTorrent was acquired by the largest blockchain-based platform in the world — TRON (TRX). 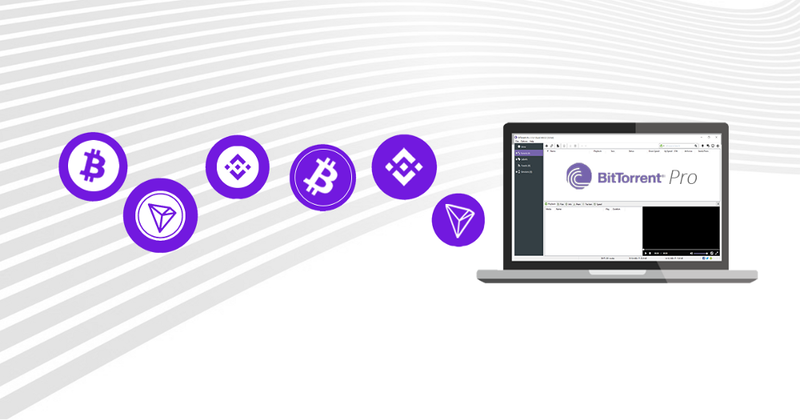 According to the announcement, BitTorrent users can now pay for its Windows Pro version and one-year Ads Free account in TRON (TRX), binance coin (BNB) or bitcoin (BTC) via payment service CoinPayments.net. TRON is about to hold its first niTROn Summit 2019 in the very beginning of the next year. It's already known, that the famous NBA player Kobe Bryant would be one of the special guests a niTROn Summit 2019. Earlier, TRON succeeded to break ethereum’s (ETH) single-day transaction record and announced the launch of Wiz­ard Acad­emy, an idle PvP blockchain game on the TRON network.